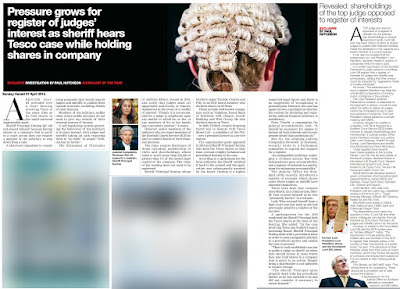 Law Society - new powers to look after lawyers. 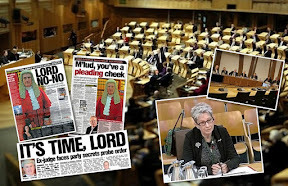 VESTED INTERESTS tend not to remain silent in an election year, and as the May 2016 Holyrood elections approach, the Law Society of Scotland has proposed the Scottish Parliament give the legal profession even more powers to enable lawyers to look after their own. 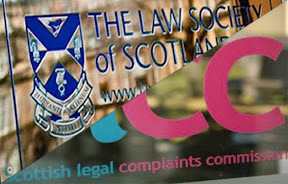 The Law Society pledges the new legislation – written by the Law Society, amended by the Law Society, and finally, approved for whatever scant debate at Holyrood the Law Society deigns necessary, will enable the Law Society to protect consumers and clients even more so than is currently humanly possible. * more flexible business models which allow legal firms to adapt to market changes. Better regulation of legal firms - to protect consumers. 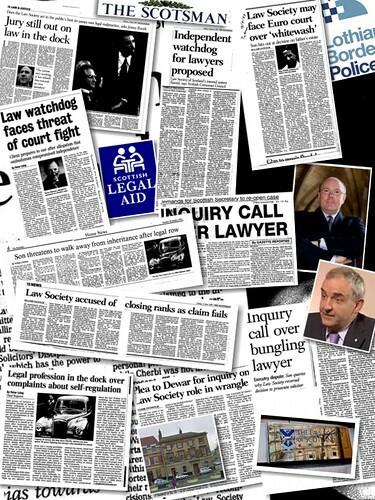 However, we must remember the demands proposals from the Law Society of Scotland should not be taken lightly. 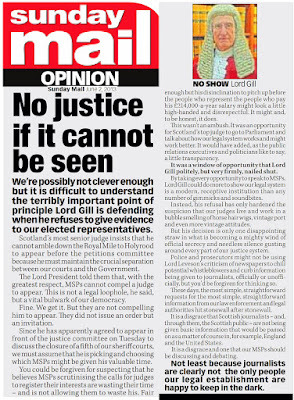 As any experienced Parliament watcher will admit - the Law Society of Scotland have a history of getting what the profession wants at the Scottish Parliament. 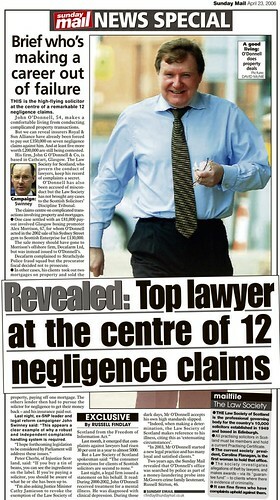 Take for instance, the Legal Profession and Legal Aid (Scotland) Act 2007, and the lengthy, at times bitter debate during 2006 - which saw John Swinney call out the Law Society of Scotland’s Master Policy Indemnity Insurance arrangements and the Society’s interference in client compensation claims as dishonest and then some. 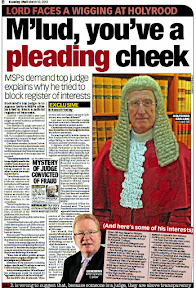 The Law Society's then Chief Executive Douglas Mill did not take kindly to the cross examination, and proposals before MSPs to create an independent regulator – the Scottish Legal Complaints Commission (SLCC). 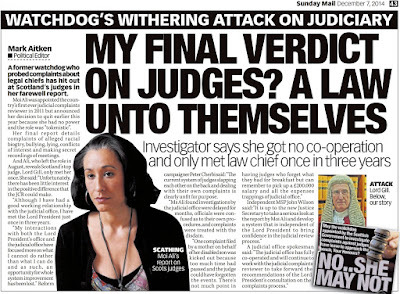 At one point, Mill went so far as to say Holyrood should take a hike – and threated the Parliament with legal action if lawyers were to be robbed of their self given Human Right to look after their own. In the end, it was Douglas Mill who took a hike. However, in all things legal, nothing is as it seems. 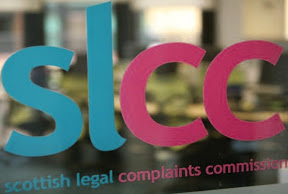 The ‘independent’ Scottish Legal Complaints Commission - created as a result of the 2007 LPLA Act, became little more than a front for the Law Society of Scotland. 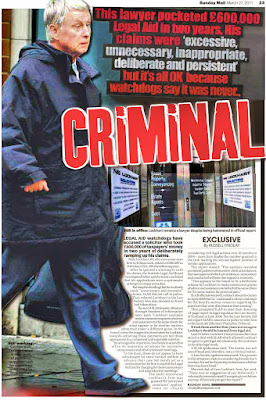 The regulator ended up costing clients around £3million a year – paid over and over again out of hikes to legal fees. 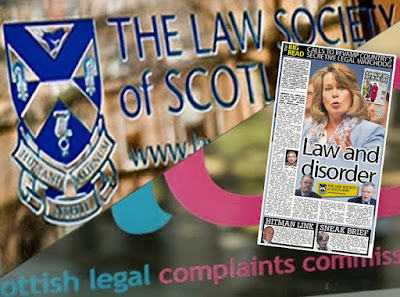 As independent regulators go, the SLCC is staffed by former Law Society employees, lawyers, lawyers families, friends, business associates, reported here: 'Independent' Scots legal watchdog consists of solicitors’ husbands, wives, sons, daughters, cousins, friends, & employers. To crown it all, the Law Society took charge of the ‘independent’ SLCC by appointing one of their own former Directors - Neil Stevenson as the latest Chief Executive of the SLCC. A truly malevolent definition of ‘independence’ – if ever there was one. Since the LPLA Act took effect, countless law changes have taken place to allegedly improve the SLCC’s procedures on how it can better regulate the legal profession. 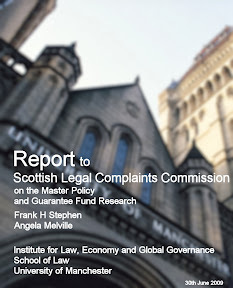 One such change landed Justice Secretary Kenny MacAskill before the Scottish Parliament's Justice Committee to provide Scots legal regulators with similar ‘new powers’ to protect consumers. Guess what.The new rules changed nothing. The SLCC is as inept at regulating lawyers in 2016, as it was in 2014 counting backwards to 2008 when the ‘independent’ regulator came into being. 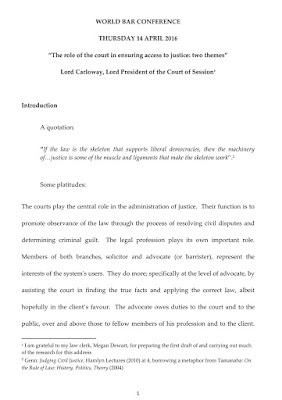 Prospectus for Power – Law Society of Scotland. 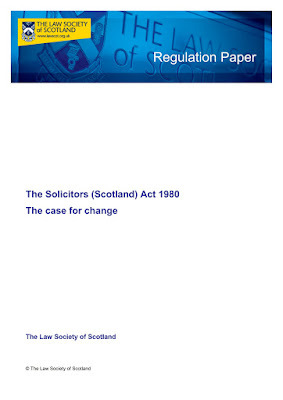 Publishing a detailed prospectus which it has presented to the Scottish Government on the need for change, the professional body for Scottish solicitors said the current legislative framework was increasingly out of date and unfit for purpose – about as unfit for purpose as self regulation can ever be. Discussions have already taken place between the Law Society and the Scottish Government on the legal profession’s legislation wish list for new powers. 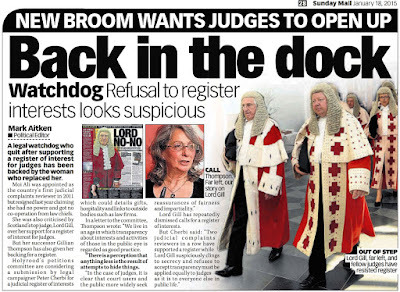 Christine McLintock – President of the Law Society of Scotland admitted: “We have had a number of very useful discussions with the Scottish Government and we are grateful to Ministers and officials for being so open to listening to our ideas. We have also worked hard to engage other bodies in the legal sector as well as consumer groups to ensure we work in partnership to deliver real change. The Law Society’s campaign to give the legal profession new powers includes what the profession claims should be ‘Priorities for the Scottish Parliament’. 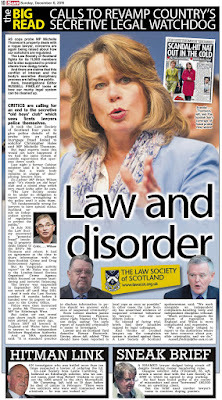 President of the Law Society, Christine McLintock added: “The legal services market is a great Scottish success story. We contribute over £1 billion to the economy each year; account for over 20,000 highly skilled jobs and support many of the other sectors on which Scotland’s economy depends. We have phenomenal legal talent, thanks to our world class universities and a rigorous programme of training and development to deliver high standards. 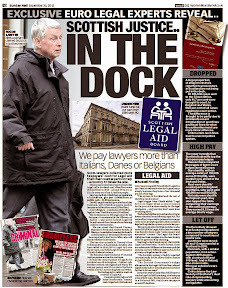 “Yet the legal services market is going through a dramatic period of change. New expectations from clients, new business models, the growth of cross border legal firms and increased technology are all serving to reshape the market. “Most of the legislation covering the operation and regulation of the legal market is over 35 years old. It is increasingly outdated for modern legal practice. Whilst some reforms were brought in 2007 and 2010, the whole framework can be confusing and, in some cases, contradictory. The Law Society of Scotland says it now plans to engage with political parties, consumer groups and others in the legal sector to build a consensus in favour of change with an aim of getting a new Bill introduced early in the new term of the Scottish Parliament. Remember to add your own voice when any such proposals eventually reach the Scottish Parliament. 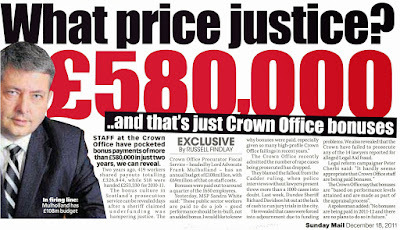 Crown Office investigated over disclosure delays. 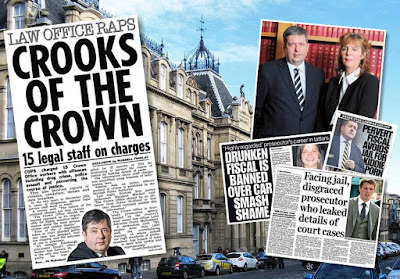 PROSECUTORS based at the Crown Office & Procurator Fiscal Service (COPFS) in Edinburgh have become so resistant to Freedom of Information legislation - officials at the £110m a year public body have in some cases, taken up to six months to reply to Freedom of Information requests. 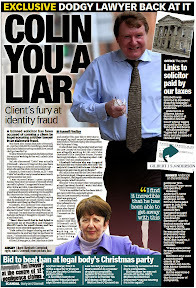 Details of the delays – which some contend were deliberate - came to light in documents disclosed by the Scottish Information Commissioner (SIC) – Rosemary Agnew – who has been forced to conduct a number of ‘interventions’ with public bodies across Scotland after serious failures in adherence to Freedom of Information legislation came to light. 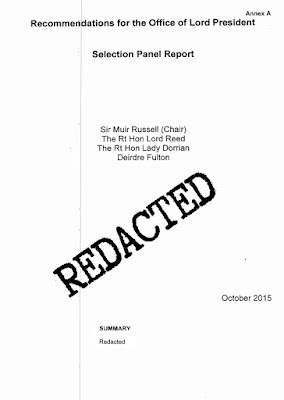 Details released by the SIC - Public bodies subject to interventions by Information Commissioner - reveal in one of the ten interventions conducted by the SIC since September 2015 - the Crown Office was investigated for multiple and lengthy delays of many months per request in responding to Freedom of Information requests. 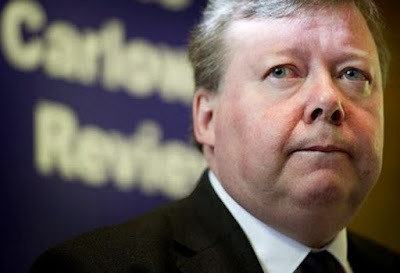 The secretive, almost unaccountable public body currently run by Lord Advocate Frank Mulholland - which manages criminal prosecutions across Scotland is now subject to monthly monitoring as a result of the SIC’s investigations and meetings between senior staff from the Scottish Information Commissioner’s office and the Crown Office. 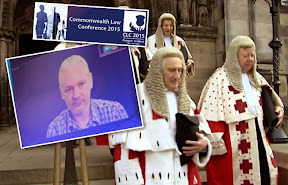 And, in a sinister move by prosecutors - a number of enquiries to the Crown Office in relation to requests for media statements on activities including large fraud investigations involving individuals and accused persons known to have links to Crown Office personnel – have resulted in reporters being denied media quotes and told to turn their communications into FOI requests. 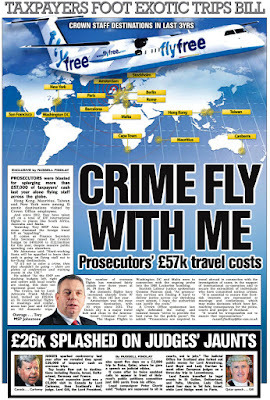 Monitoring of how the Crown Office complies with FOI legislation comes at an unwelcome time for prosecutors, after it was revealed Crown Office staff & prosecutors have been charged with serious criminal offences, reported here: CROWN CROOKED: Crown Office crime files reveal Scotland’s Prosecutors & staff charged with Drugs crimes, Police assault, threats & perverting the course of justice. 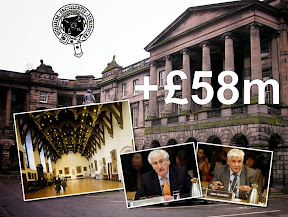 A number of other public bodies are named in the documents including, Police Scotland, Scottish Ministers, the Scottish Fire and Rescue Service, NHS Scotland Loch Lomond and The Trossachs National Park Authority & Falkirk Council. In the data release it is revealed Police Scotland scored the most number of interventions from the Scottish Information Commissioner’s office, totalling three interventions at various levels. In one case, details release by the Scottish Information Commissioner reveal Police Scotland maintained a practice of sending out locked pdf documents with security protocols forbidding their printing. “Police Scotland has raised the issues of locked documents and undated letters internally.” The issue is subsequently referred to as: “Issue resolved”. 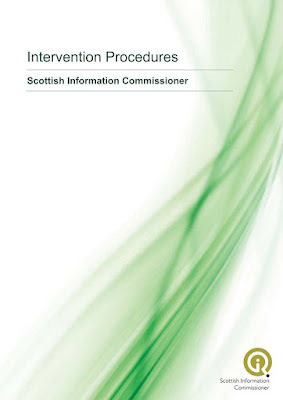 In a Level two intervention with Police Scotland, files released by the Scottish Information Commissioner reveal details of Police Scotland’s information publication scheme. From information now made public by the SIC, the issue was raised with Police Scotland on 12/11/16 and a reminder issued on 18/02/16. The SIC appears to be awaiting an outcome. 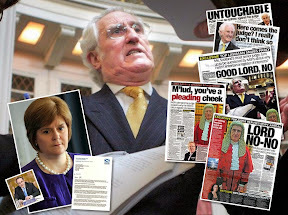 In one of two interventions with the Scottish Government, documents disclosed by the SIC revealed there was a concern at the lack of knowledge of Freedom of Information at the Scottish Government. 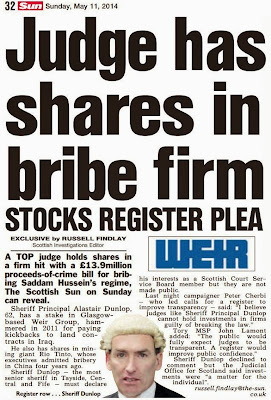 Powers granted to the Commissioner by the Freedom of Information (Scotland) Act (FOISA) allow the Scottish Information Commissioner to intervene where it is identified that an authority’s practice is or may be: (i) in breach of its statutory duties under the Freedom of Information (Scotland) Act 2002 (FOISA) and/or the Environmental Information (Scotland) Regulations 2004 (the EIRs); (ii) falling short of Government guidance, particularly the Section 60 Code. 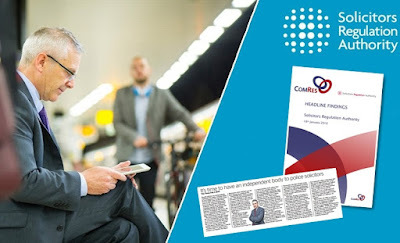 Anyone who makes a Freedom of Information request to a public authority can request an intervention by the Scottish Information Commissioner, if the public authority in question does not adhere to FOI legislation. Level 1: These are minor failures to follow good practice. In these cases, we will provide informal advice and assistance to authorities, pointing out the failure and suggesting remedial action. In such cases, individual officers are empowered to give advice to authorities if a relevant failing is identified as a result of an application or enquiry to us and to decide what follow-up action is required. Level 2: These are ongoing failures by an authority to follow good practice in a specific area of practice. In these cases, an appropriate manager (DHOE, HOE, HOPI or the SIC) will contact the authority to discuss the issues and suggest remedial action. Level 2 interventions will require follow-up contact with the authority to ensure that appropriate action has been taken. Level 3: These are more serious or systemic failings which have been identified and we do not consider the issue can be rectified without requiring the authority to put in place an action plan to address the issue. In such cases we may invite an authority to carry out a self- assessment using one or more of the modules in our self-assessment toolkit. Level 4: These are when an authority consistently fails or refuses to comply with FOISA, the EIRs or statutory guidance despite previous interventions by us. In these cases, we may issue (or give warning of our intention to issue) a practice recommendation in terms of section 44 of FOISA specifying the steps that an authority must take in order to conform with its duties under Government guidance. Alternatively, we may issue (or give warning of our intention to issue) an enforcement notice under section 51 of FOISA requiring an authority to take specified steps to comply with Part 1 of FOISA or with the EIRs. We may also decide to carry out an on-site assessment of an authority’s arrangements for handling information requests. 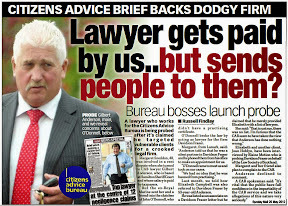 Lord Carloway – fee hungry lawyers who oppose reforms are wrong. 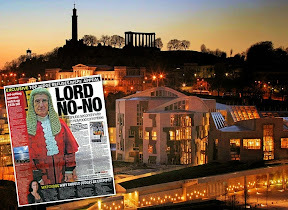 SCOTLAND’S top judge – Lord President Lord Carloway has again, publicly criticised the financial self interests of the legal profession who oppose reforms to Scotland’s justice system – out of concern for their wallets. The biennial event brings together the member independent bars of the International Council of Advocates and Barristers (ICAB) for seminars and social events, backed up by lavish occasions in public buildings such as the Scottish National Gallery. 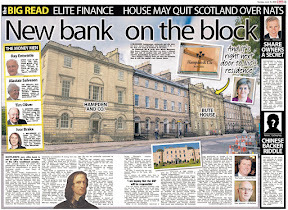 This year the Faculty of Advocates hosted the World Bar Conference 2016 in Edinburgh, along with gatherings in Parliament Hall – which was revealed last year to have been secretly handed over to the Faculty in a dodgy free property handover masterminded by lawyers and approved by Scottish Ministers. 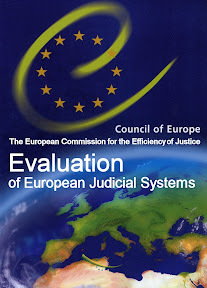 While the Lord President’s recent proposals for justice reforms and faster access to justice for Scots court users may be seen as welcome, the fact is - year in year out, legal figures from Scotland’s multi billion pound legal industry claim change will come, access to justice will be faster, fees will be reduced, regulation will improve, the courts will be more accountable. None of which is ever achieved. In short, we have heard it all before. Just like ridiculous crime statistics, supposed cuts in the legal aid budget and stage managed publications of annual reports to coincide with a budget announcement. Public Relations and spin with the repeat button pressed down. 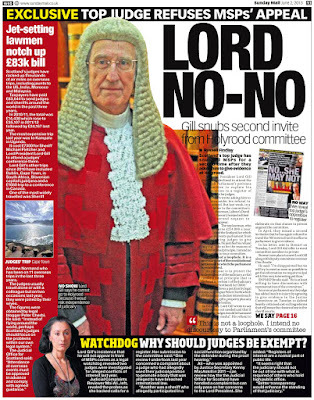 However, this is the second time this year, Lord Carloway - who succeeded Lord Brian Gill to the role of Lord President & Lord Justice Clerk – has hit out at ‘obstructive’ lawyers and those who oppose change..
And, during Lord Carloway’s speech to the Commonwealth Association of Law Reform Agencies Biennial Conference held in April 2015 – Carloway did not mince his words, accusing lawyers & critics of having a financial interest in retaining the centuries old injustice safeguard of corroboration. 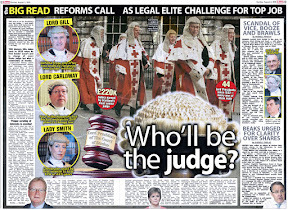 Reacting to opposition from the legal profession – opposition which was backed by a number of judges, Lord Carloway said: "Reactionary or excessively defensive forces among the legal profession can, and often do, behave in a manner obstructive to progressive law reform, especially where there is transparent perceived financial self-interest." 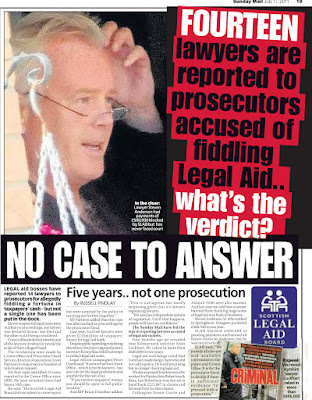 Carloway is keenly aware that powerful elements within the legal profession and the Law Society of Scotland oppose a faster and wider system of access to justice for Scots, on the grounds such reforms may impact on the profits of law firms & sizeable claims on the annual £150 million plus Scottish Legal Aid budget. 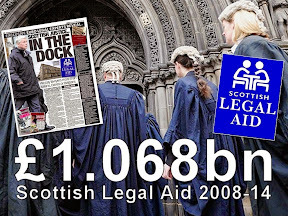 Since the banking & financial crash of 2008, a staggering £1.2 billion pounds has been handed out to Scottish law firms, much of which goes on criminal legal aid. 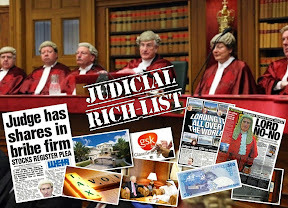 Yet despite taking billions in public cash, solicitors, led by bosses at the Law Society of Scotland have staged strikes outside the Scottish Parliament & court buildings demanding legal aid cuts be reversed. 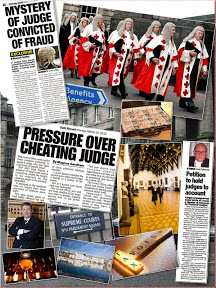 The Scottish Civil Courts Review of 2009 authored by then Lord Justice Clerk, Lord Brian Gill, castigated Scotland’s Civil Justice System as being Victorian, costly, and unfit for purpose, yet years on from the review, little of the proposed reforms have been implemented due to pressure from vested interests in the legal world, and a lack of political will to deliver access to justice to all Scots. 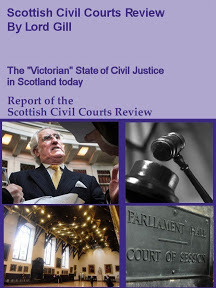 Previous articles on the Civil Courts Review and reforms of Scotland's antiquated civil justice system can be found on Diary of Injustice here: Scottish Civil Courts Review. 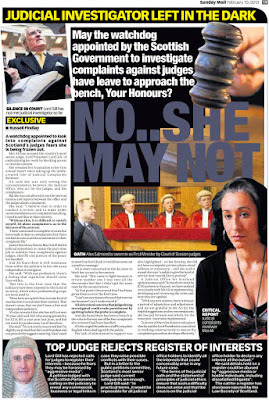 First female judge appointed Lord Justice Clerk. 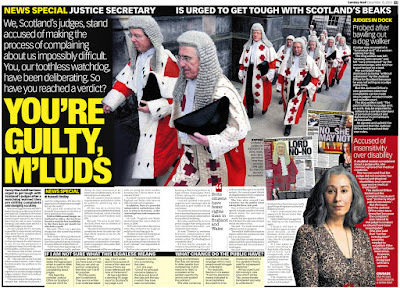 FOR THE first time in the history of Scotland’s legal system, a female judge has been appointed to the role of Lord Justice Clerk, the second most powerful position in Scotland’s judiciary. Lady Leonna June Dorrian (58), who is currently a judge of the inner house of the Court of Session - will take up her appointment as Lord Justice Clerk on 26 April 2016, the day of her installation. 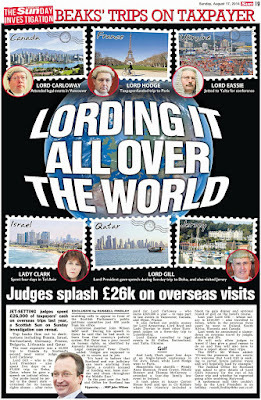 The post of Lord Justice Clerk comes with a salary of £213,125 a year. 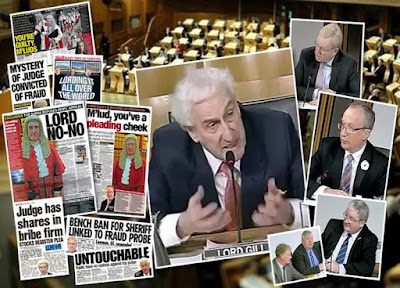 The Lord Justice Clerk also holds the office of President of the Second Division of the Inner House of the Court of Session, and, by virtue of the post, is Chair of the Scottish Sentencing Council. 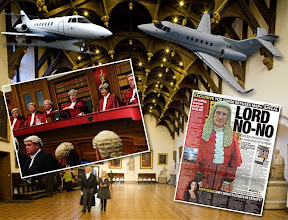 The appointment of Lady Dorrian to the second most powerful judicial position comes after the recent appointment of the previous holder of the office of Lord Justice Clerk – Lord Carloway – to the top role of Lord President & Lord Justice General of the Court of Session. With the ascension of Lord Carloway to the post of Lord President, the move required the appointment of a new Lord Justice Clerk. 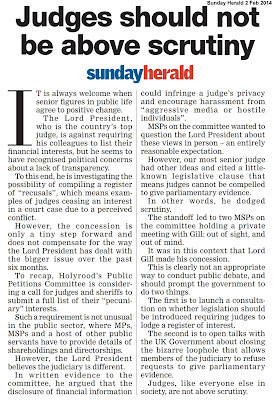 A selection panel to interview candidates for the role was again convened by the First Minister earlier in January 2016 – the panel comprising of Rt Hon Lord Carloway – Lord President, Sir Muir Russell – Judicial Appointments Board for Scotland, Alison Mitchell – Judicial Appointments Board for Scotland, The Hon Lady Stacey – Senator of the College of Justice to select a candidate for the position of Lord Justice Clerk. 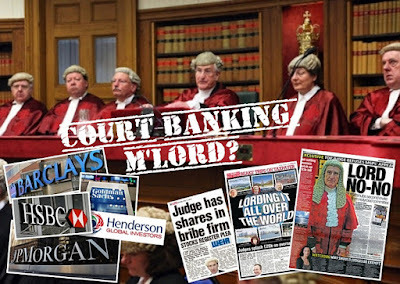 Lady Dorrian was then nominated by the First Minister Nicola Sturgeon to Her Majesty the Queen - after taking account of recommendations made by the selection panel constituted under the Judiciary and Courts (Scotland) Act 2008 . 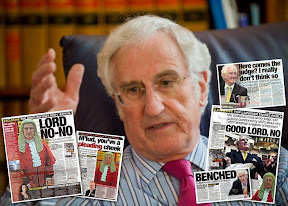 The panel which made the recommendations included Lord Carloway – who had been nominated for the position of Lord President by the previous panel which Lady Dorrian was a member of. 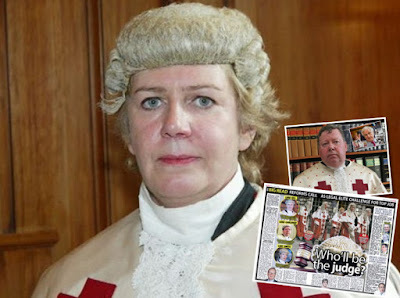 Lady Dorrian is a graduate of the University of Aberdeen and was admitted to the Faculty of Advocates in 1981 before becoming Standing Junior Counsel to the Health and Safety Executive and Commission between 1987 and 1994. She served as Advocate Depute between 1988 and 1991, and as Standing Junior to the Department of Energy between 1991 and 1994. In 1994, she was also appointed Queen's Counsel. Between 1997 and 2001 she was a member of the Criminal Injuries Compensation Board. 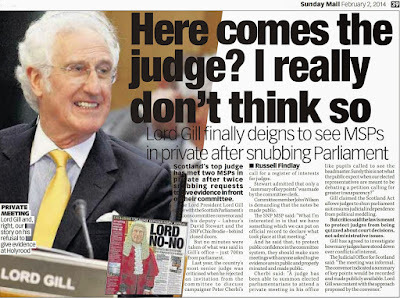 Lady Dorrian was appointed as a judge of the Supreme Courts in 2005, having served as a temporary judge since 2002. She was appointed to the Inner House in November 2012. 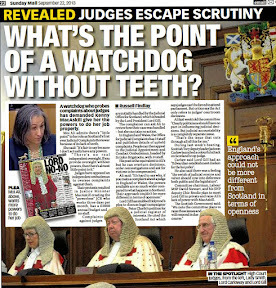 How judges select Scotland’s judges - in secret The selection panel for the office of Lord President - of which Lady Dorrian was a member – considered five candidates for the position of Scotland’s top judge – according to papers released by the Scottish Government in response to a Freedom of Information request by the media. 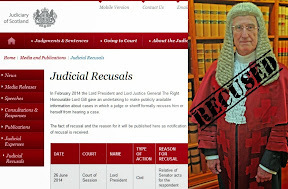 While there was significant speculation during 2015 that a female judge would be appointed to the top judicial post of Lord President, the unpredicted shift away from a male only top judge did not happen this time around. Responding to queries, the Scottish Government refused to disclose the genders & diversity information relating to any of the candidates for the top job, citing privacy concerns. 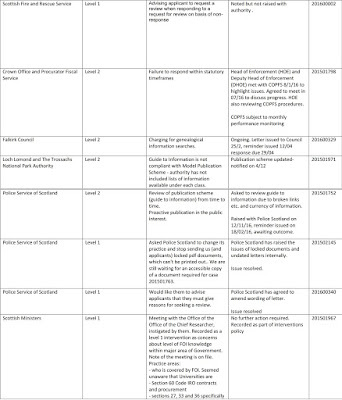 Written exchanges between civil servants and the selection panel reveal a short listing meeting was held on 1 September 2015. 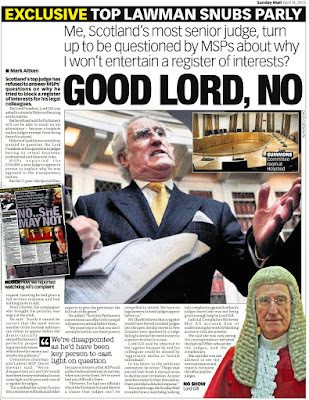 The panel considered that two applicants Lord Carloway [Redacted] merited an interview on the basis of the quality of their applications. The panel agreed that given the level of appointment, candidates needed to be able to demonstrate that they met the criteria to an exceptional degree [Redacted]. 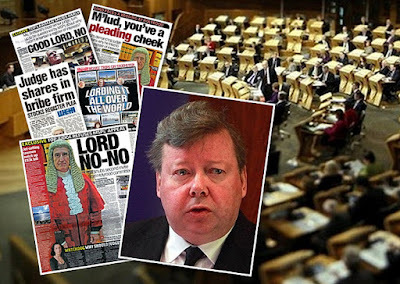 The content of the selection panel’s report recommending Lord Carloway for the nomination of Lord President, was completely censored by the Scottish Government. 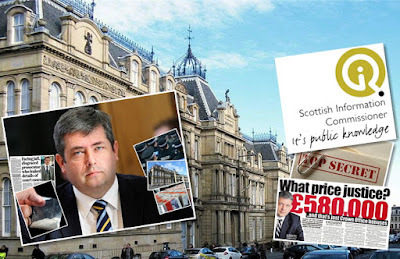 Emails between Scottish Government show First Minister Nicola Sturgeon had decided on Lord Carloway’s nomination as Lord President around 18 November 2015. Lord Carloway’s appointment as Lord President was finally made public a month later in December 2015. 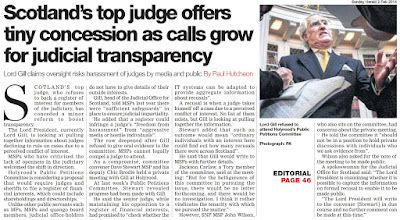 Scotland’s judiciary faces a testing time as calls grow for judges to apply the same levels of transparency to themselves as is required of all other branches of Government, the justice system and those in public life. 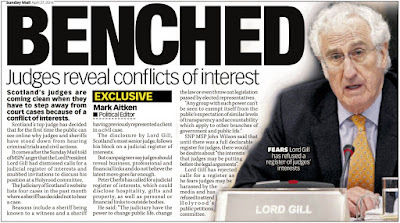 Scotland’s current Lord President - Lord Carloway is to be asked to give evidence to the Scottish Parliament’s Public Petitions Committee in connection with three year probe on proposals to require judges to register their interests, as called for in Petition PE1458: Register of Interests for members of Scotland's judiciary.